Today, most mobile devices come with the option to turn your device into a mobile hotspot. Essentially, it provides a wireless connection for other phones, laptops, or really anything that has a wireless option. It is a very convenient feature that can be used almost anywhere at anytime. It’s important, however, to be safe when sharing your mobile connection. 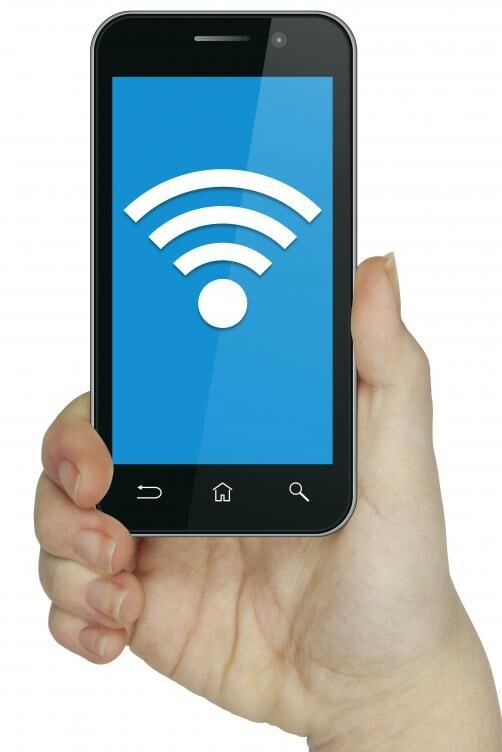 Most people take steps to secure their wireless connection in their home, so why not do the same for your mobile device? There a few important steps to follow when you want to utilize this feature. Password complexity is easily one the best ways to protect against any unwanted visitors. Just like connecting to any other wireless connection, it will prompt for a password to be entered, meaning the more complex the password, the less chance of someone getting in. A second step is to ALWAYS turn the hotspot option off whenever you are not wanting it to be used. It wastes data and turns your device into prey for anyone looking for personal information. A final step is to simply watch your screen when using your hotspot feature. Most devices will show how many people are connected or at least who is connected. It’s important to monitor the users, because if you don’t recognize someone, they already had the password to get in and they could cause major damage. If a hacker manages to get into your devices hotspot, your personal information could be at risk or a potentially huge phone bill because they took advantage of your phone’s data. All in all, don’t be afraid to use this great feature in times of need, just be weary of who enters into your sharing circle and keep those passwords safe and complex! Source: “How to share your internet mobile connection safely.” Panda Mediacenter. 11 January 2017. Web.